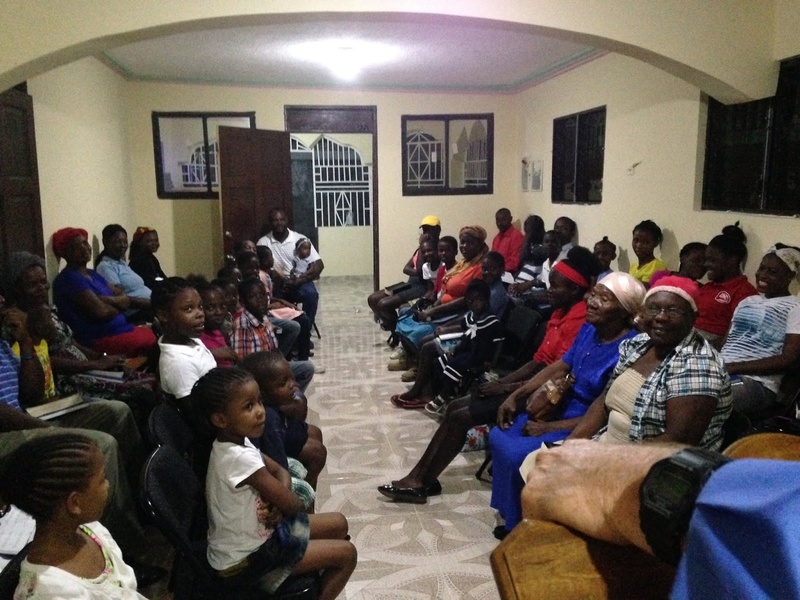 The new congregation in Joseph Jean’s home located in Mirebalais, Haiti. The high attendance is 85. Since the third week of July 2018, we not only have a congregation there, but have shipped thousands of booklets and magazines into this truth-starved and hope-starved nation. With the help of deacon Joseph Yves Jean and his family, UCG has a blossoming and thriving church in the city of Mirebalais. This city of 180,000 people is located 47 miles from the capital city of Port-au-Prince. Joseph Jean began attending UCG in Ft. Lauderdale, Florida, almost two years ago. At the time, he was living in Belle Glade, Florida, but had plans to move back to Haiti, complete a home he started building there and spread the gospel. After serving in the local Ft. Lauderdale congregation and working with the local pastor for over a year, Joseph packed up his family and belongings and left for Haiti. As soon as he arrived, he “hit the ground running.” He completed his home and began to lay the groundwork for the UCG congregation. With donations from local brethren and members across the United States, Joseph was able to establish a congregation—17 people attended the first service in the Jean family’s living room. That number rose to 35 by the next Sabbath. By the third Sabbath, over 50 attended. The weekly average attendance quickly rose to 60-plus, with a high attendance of 85. With only 55 chairs available, the weekly service was standing room only. This is where we are today. Each week the Jeans host Sabbath services, as well as Tuesday night and Friday night Bible studies, with everyone packed into their living room. With the weekly attendance becoming too large to fit in the Jean’s living room, a decision was made to construct a meeting hall with a capacity for 200-250 people. God once again provided through generous donations from members in the U.S., Canada and the Caribbean. This meeting hall is scheduled to be completed by March 15, completely debt-free. The hall, called “The UCG Haiti Assembly Hall and Training Center,” will host weekly Sabbath services and Bible Studies, and will also serve as a training center for teaching English and computer skills to Church members and members of the Mirebalais community. The hall is being built according to International Building Code specifications, and thus will provide a safe shelter for locals in the event of hurricanes or other violent storms. Since most live inside huts or shacks, this too will be a great blessing for them. The nation of Haiti may be the poorest in the western hemisphere, but the people are rich in their desire to know God, and they hunger for the arrival of His coming Kingdom on Earth. There is constant violence and riots in the capital city, but God has blessed our brethren with a respite in the northern mountains of Mirebalais. Prayers are needed and appreciated for the brethren in Haiti, and for the massive work God has given us to do there. Chuck was born in Lafayette, Indiana, in 1959. His family moved to Milton, Tennessee in 1966. Chuck has been a member of God’s Church since 1980. He has owned and operated a construction company in Tennessee for the past 20 years, and has also been serving congregations in the Caribbean for the past 12 years. He is now serving full-time in South Florida.